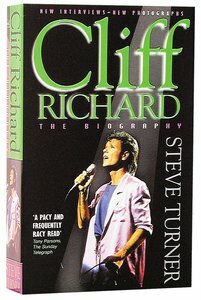 Widely acclaimed as the definitive biography of Britain's most enduring pop star, Steve Turner's enthralling book is now thoroughly updated to cover recent events such as Cliff's knighthood. Q Magazine says "An unbeatable Cliff reference book which gets well below the surface... a subtly shaded portrait of one of Britian's most famous Christians". From Lion. About "Cliff Richard: The Biography (2nd Edition)"
Published to coincide with Cliff Richard's 40th anniversary tour, this updated edition of the outastanding bestseller includes new pictures, new interviews and many more chapters.